The digitized world of today presents us with an issue we’ve never faced before. Each and every little device in our home is either now or soon to be connected to the Internet of Things (IoT) and that means it is able to collect data. The influx of collected data allows businesses to better understand behavioral and buying patterns of the customers, but big data goes even beyond. 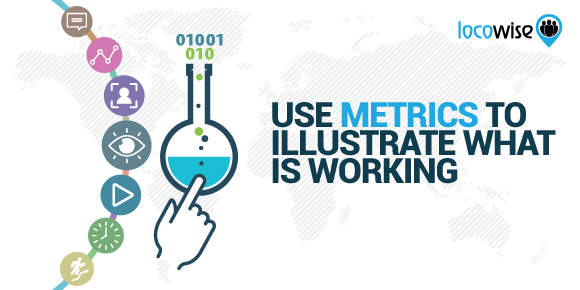 It is able to help scientists deal with global issues, while also providing marketers with information needed for proper decision-making. And while going through the intricacies of the matter requires heavy argumentation, primarily due to the ongoing debate on privacy, the main issue of big data is rather simple. We, as a society, simply don’t have the right tools to process all that data. Yet, this isn’t exactly the case with social media. 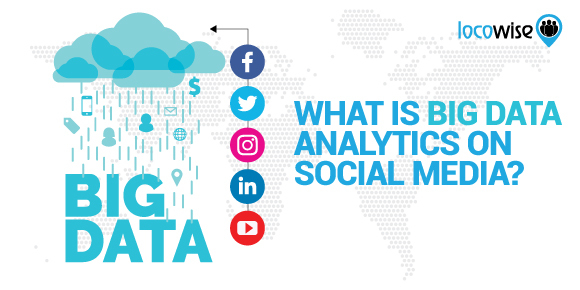 In fact, big data available on social platforms and the development of the social media marketing scene can help us better understand how smart technology might change our lives in the near future. One of the better examples of how big data currently shapes our lives is social media analytics. The user information that is being collected on social networking platforms allows marketers to have a better understanding of the customer behavior, target audience groups and engagement. In simple terms, the two sides of the coin that is big data on social media, within the digital marketing spectrum, are microtargeting and brand analytics. The first and most obvious way big data changes our lives is by providing marketers with the ability to target individuals within a specific group. With the data being neatly segregated via machine learning algorithms, social media platforms are able to allow companies to directly target individuals based on detailed specifications that go beyond race, age, gender or social standing. In fact, today you are able to advertise to someone, just because they like a specific movie. And while the examples of microtargeting we see on media outlets are generally frightening and scary in terms of privacy and system exploitation, the truth of the matter is that microtargeting is not a negative marketing tactic. In fact, with the help of AI, big data allows marketers to directly connect with their target audience group, allowing them to increase their profits while lowering the cost of advertising. 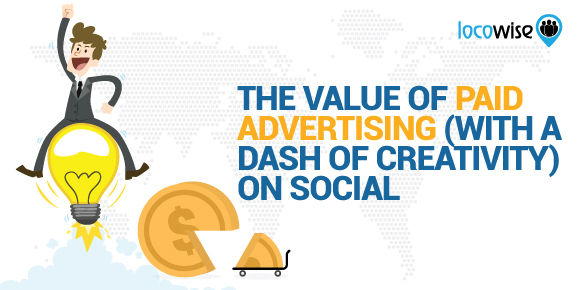 In a sense, the more people who are interested in your product or service see the advertisement, the less money a business is spending by advertising to individuals who are not interested in the matter. At the same time, it’s also better for the customer. By having targeted ads show up on your social media feed, you will be able to receive information about products and/or services that might be of your particular interest. This absolves the need for boredom and frustration of having to go through ads that have little to nothing to do with you and rather turns advertisements into a non-obtrusive experience. But that’s not what big data is all about. The other side of the coin of big data on social media is arguably even more vital for businesses. Almost every company is trying to get a slice of the social media pie. Creating profiles on multiple social media platforms in hopes to increase your brand message is all well and good. But the sweeter part of the equation is more often than not the social media analytics. Having access to numerous metrics, such as likes, post reactions, post replies and more, allows a business to better understand the very nature of the interaction between their customer base and their content. 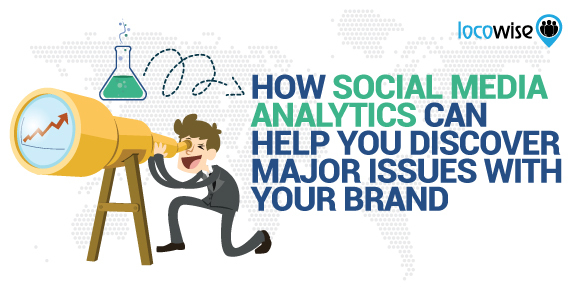 Lying in the core of the growing digital marketing scene, social analytics provide businesses with an opportunity to hone their marketing message, while delivering better support and transparency through relevant and timely information. But as with any other matter related to big data, without a proper way to gather and quickly go through the available data, analysis is out of the picture. And that’s why tools, such as our very own Locowise exist. With big data analytics tools for social media you are able to quickly and easily see the most important metrics of your brand performance. For example, an audience growth graph will provide you with the number of new likes/follows on a social media profile on a day-to-day basis, while a total engagement chart will give you access to information about how your audience interacts with your content. Detailed analytics, such as demographics, might help you paint a better picture of what your current audience. This, on its own, can help a marketing expert determine whether or not the goals and/or brand message of a business should be adjusted to better fit the existing customer base. What does it mean for the industry of social media marketing? Without big data, social media marketing wouldn’t be where it is today. As the analytics tools become more sophisticated (Did you know about our instant report feature? Have you checked our leaderboards? ), marketers are able to make more on-point decisions about the direction in which a business is headed. This results in better profitability for a business and allows customers to have a more pleasing experience. In a sense, big data on social media opens the doors to new and exciting opportunities. Almost every day we are surprised by the creative and innovative ways our customers use Locowise. In fact, their behavior has inspired more than a few different posts on our blog. From our ideas on how to future-proof your social media content to the very nature of the post about discovering problems within a business and/or a brand through social media analytics. And it doesn’t stop there. By having access to big data on social media and via tools that help you with its analysis, we are certain that the digital marketing scene will be changing even faster. Take our leaderboards feature for example. Within a few days after its introduction, we were able to help many businesses tweak their social media strategies, based on their competitors. We’ve learned that the top pages in Australia are related to Women’s fashion, while we’ve also learned that NBA is a loved topic of discussion in the Philippines. We’ve also found out these 5 amazing brands, that we would’ve otherwise probably missed, that are some of the most engaging with near-perfect social media strategies. And this is just the beginning. With an access to intuitive insights about the social media performance of a brand, you will be able to notice patterns you’d otherwise have missed. No matter how big of an expert on human behavior you are, if you are in the digital marketing realm, then being aware of how important the data is should go without questioning. Much like a detective following the evidence that lead to the closing of their case, a digital marketer is often required to find the small details that make the big business wheels turning. And similarly to how a detective can’t run his operation without the proper tools, a digital marketer won’t be able to find the proper details, unless they have access to the right analytics and tools. Social media analytics is one of the most direct examples of how big data is shaping our everyday lives. Yet, the truth is that today, big data is a vital instrument for almost every aspect of our lives. And if big data isn’t used in a certain industry today, it wouldn’t be a far-fetched thought that tomorrow it might be. With the rise of technology that powers intelligent homes and with devices that collect data becoming smaller and more efficient, it is only a matter of time that we’d see a shift in our perception of the world. Much like the five brands with near-perfect social media strategies discovered through the Locowise leaderboards, a future tool in another industry might help discover something amazing that hasn’t even crossed our minds today. And it’s all thanks to the proper collection, easy presentation and ultimately the right analysis of the data that social media platforms present us with. Big Data is already shaping our future. From seeing the engagement of a page in a neat manner to having access to tools that help us pinpoint specific matters in an otherwise diverse and unrelated cloud of data, all it takes is one simple tool. Just like Locowise helps you with big data on social media and with social media analytics. And while you wait, why not sign up for a full 7-day trial of Locowise and see big data analytics in action today? 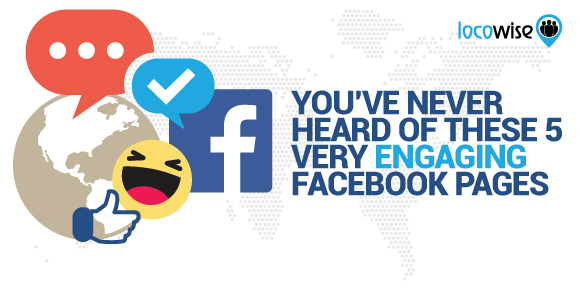 You’d be surprised by the insights you’ll find for your own social media strategy!